Rich, buttery flavor of sweet candied pecans is now available in decaf. Love the Butter Pecan decaffeinated. “Creamy” and smooth flavor. Wonderful hot or iced. Keep making it!!! I bought this coffee as a gift. It was well received. I was told it tasted like Butter Pecan ice cream! Love the butter pecan decaf! 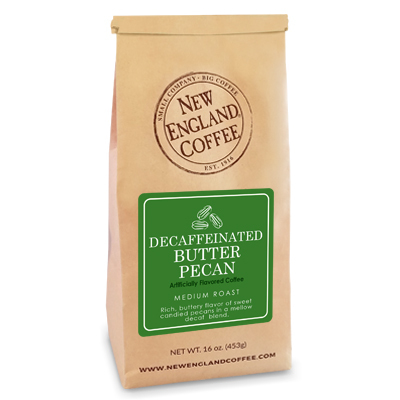 Us decaf drinkers deserve great flavors too! Thanks! !